Product Shipping : $1.00 per Unit + base shipping per shopping cart checkout. For more info, please refer to shipping rates. 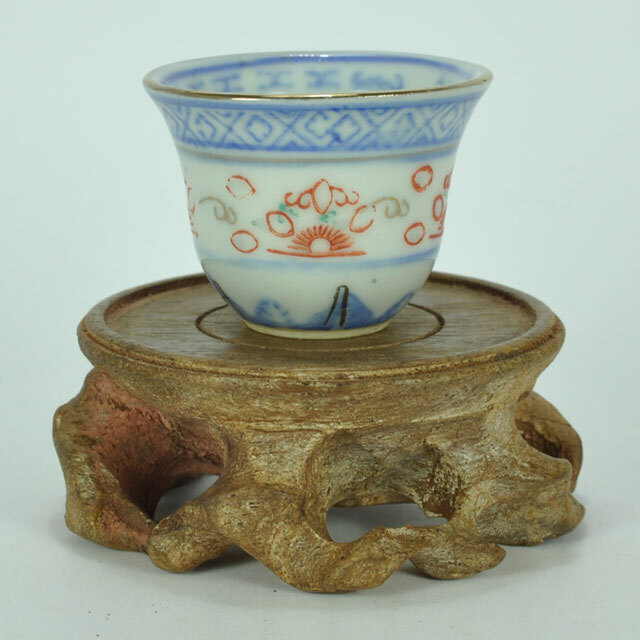 Painting : "You Xia Cai" or "Under-Glaze Decoration" for the blue white pattern and "You Shang Cai" or "Over-Glaze Decoration" for the "Gold Lines", "Red Suns" and "Green Dots"
This 1980's "Mi Tong Bei" or "Translucent Rice Teacup" is a famous Jingdezhen porcelain product. Using "You Xia Cai" or "Under-Glaze Decoration Painting Technique" for the original blue white pattern and "You Shang Cai" or "Over-Glaze Decoration Painting Technique" for the "Gold Lines", "Red Suns" and "Green Dots". 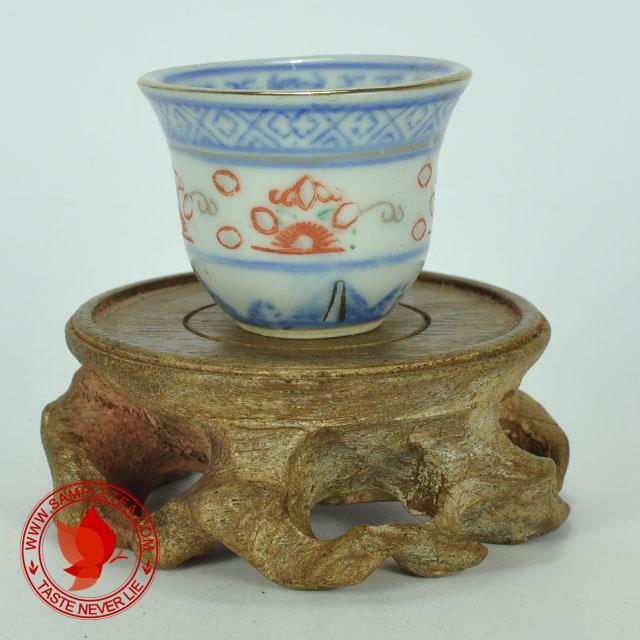 Good for all kind of "Shui Xian Oolong" or "Rock/Cliff tea". 30ml capacity and tall shape makes it great for "Kung Fu" style brewing. 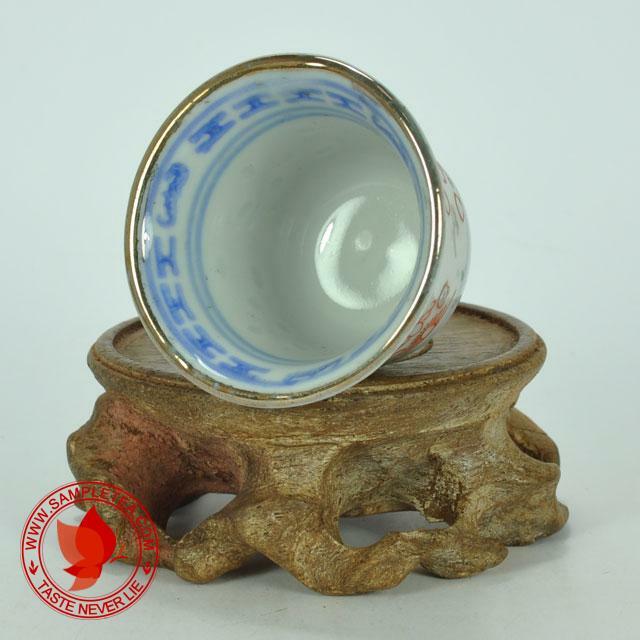 Note: The "Gold Lines", "Red Suns" and "Green Dots" on the surface of the cup will fade after sometime of use because it is "You Shang Cai" or "Over-Glaze Decoration Painting Technique". 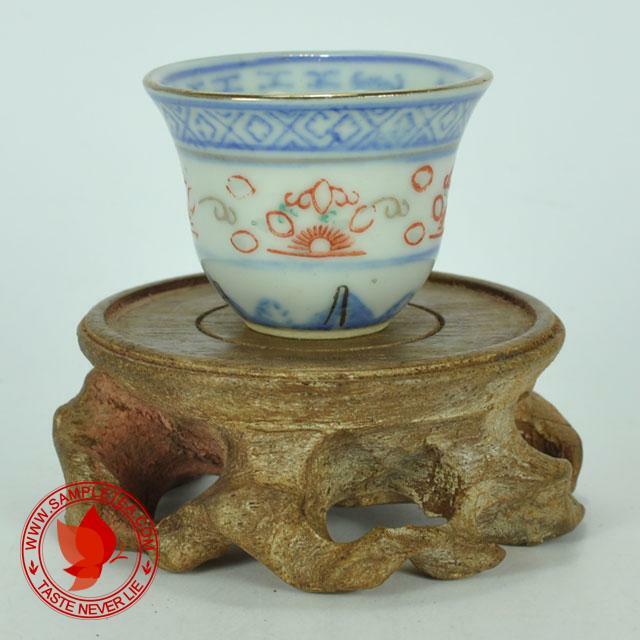 Use paint to draw on the surface of the cup then cover with a layer of transparent glaze and then burn with 1200℃ to 1400℃ high temperature. 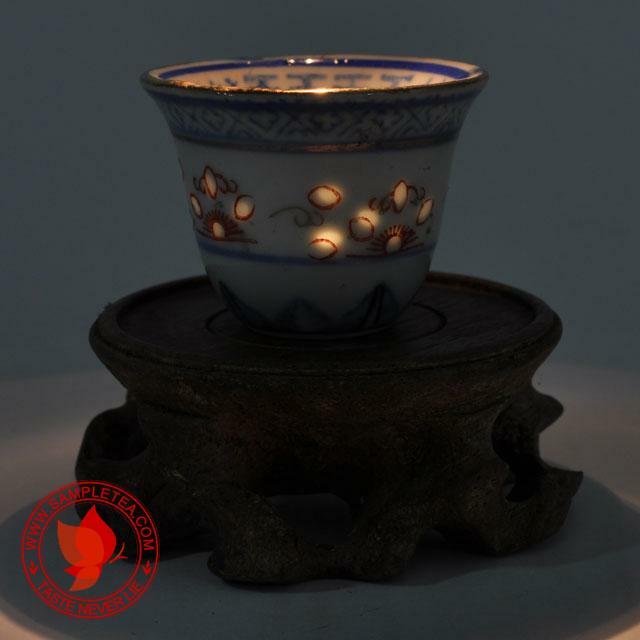 After the firing process, the surface become shiny, soft, smooth and the painting will not fade. This technique has been available since "Tang Dynasty". 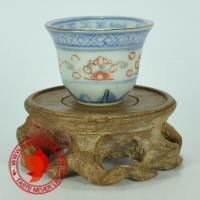 It is used to give the normal blue white porcelain some lively color. 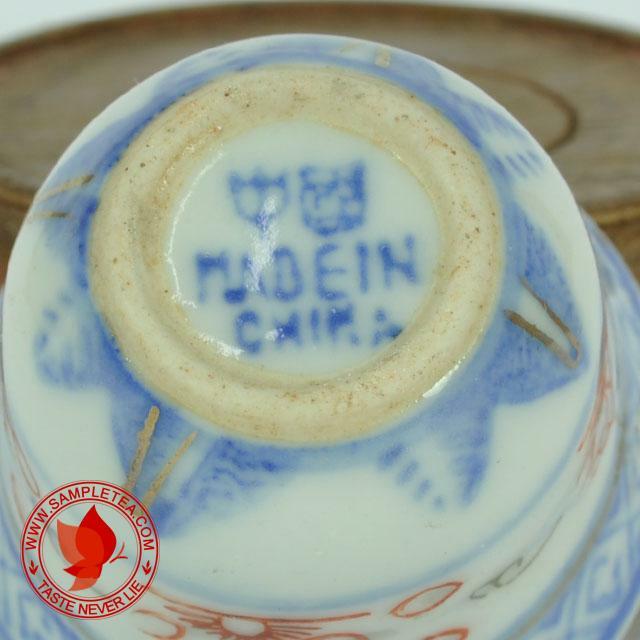 Usually "You Shang Cai" is painted on the surface of the porcelain after "You Xia Cai" or "Under-Glaze Decoration Painting Technique" process and then burn again in a lower temperature of 600℃ to 800℃. Unfortunately the paint will fade if being scrub hard enough or after sometime of use.